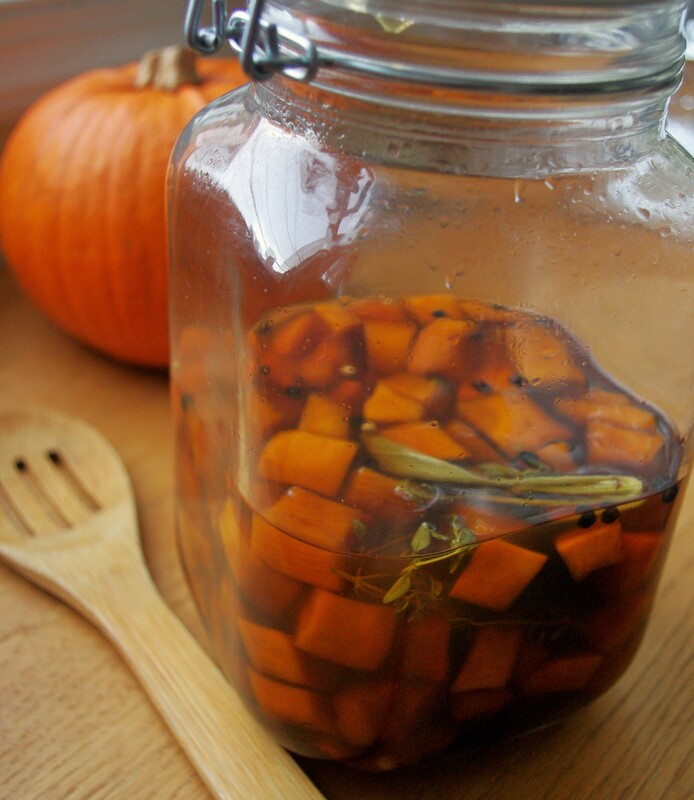 Here’s a new way to try pumpkin: in a pickle. This recipe for Quick Pickled Pumpkin is just that, and the results will add a bright, unexpected punch to fall menus of all kinds. (Plus offer an excuse to jump on the pickling bandwagon.) The only key here is to let the pumpkin do it’s thing, marinating in the brine. The pumpkin may seem too salty at the beginning, and the brine too harsh, but an overnight rest softens the squash and melds the flavors. We’re thinking the next batch might be good with some star anise and clove.